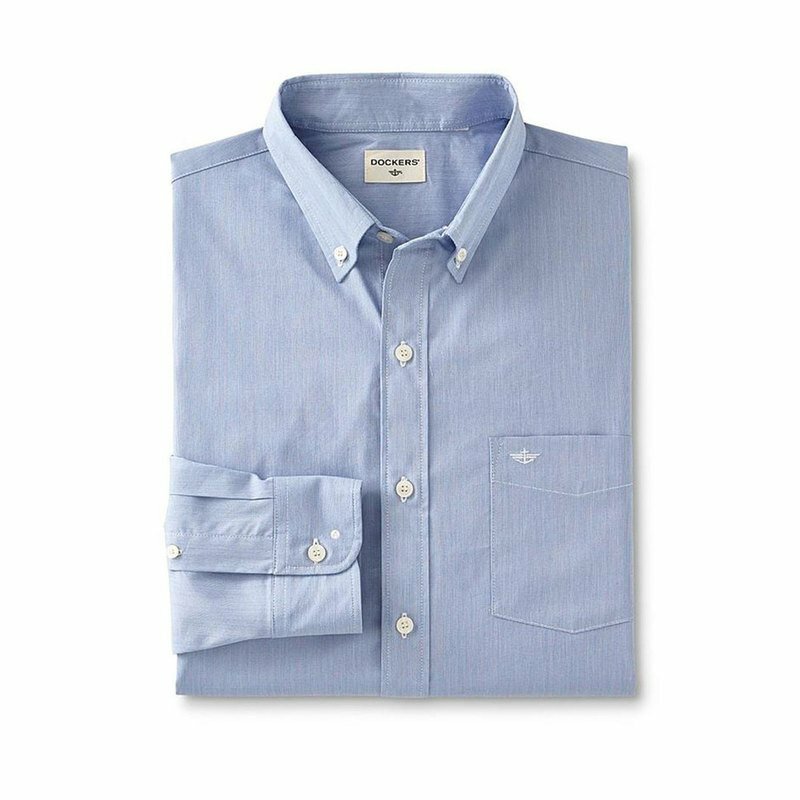 This men's button-front shirt from Dockers is the perfect choice for a busy guy. A button-down collar adds structure to this shirt, while a chest pocket with contrasting embroidery delivers crisp style. The cotton-blend weave is designed to resist wrinkles, so it's ready to go as soon as you pull it out of the dryer.